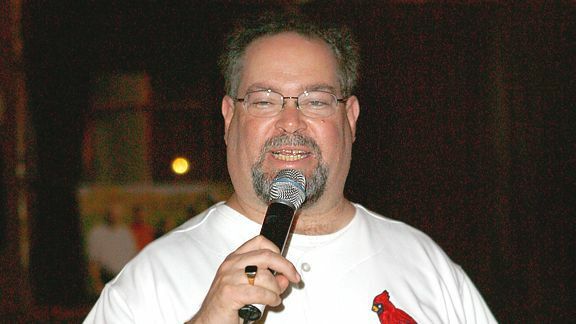 This week The Schwab Speaks with current Nationals broadcaster (and former ESPNer) Bob Carpenter on whether this will (finally) be the year for the Nationals. Will Bryce Harper be ready? Will Ryan Zimmerman be a lifetime Nat? Will the bullpen hold up? And The Schwab has some heated thoughts on the Triple G vs Alvarez fight, the Giants and Eli Manning, the key matches this weekend in College Football, and even the NHL pre-season. 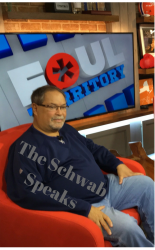 https://theschwabspeaks.files.wordpress.com/2017/08/the-schwab-speaks-1-8.m4a The Schwab Speaks with Showtime’s Jim Gray on the upcoming McGregor Mayweather fight! Also Jim’s thoughts on the upcoming NFL season…the Schwab’s thoughts on training camp…and the upcoming US Open. The Schwab Speaks (with better audio) on The Whirling Darvish, the Dodgers & other trades, NFL early retirements & camps, Jameis Winston, oh and some Beano Cook memories. https://theschwabspeaks.files.wordpress.com/2017/07/the-schwab-speaks-1-2.m4aAh, it’s time for The Schwab Speaks. And does he have some opinions on the NBA signings, MLB Rookies, everything Wimbledon, and judging in Boxing. Share your thoughts with us, ask us questions, leave comments. We want to hear from you. -well anything that you think that we should know!